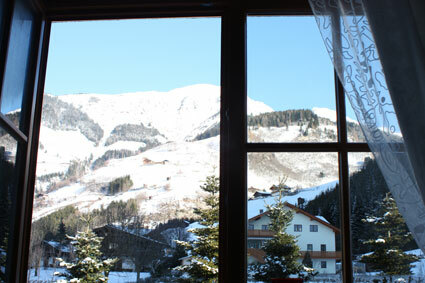 This luxurious first floor apartment has stunning views of the quaint town of Rauris and its surrounding mountains. 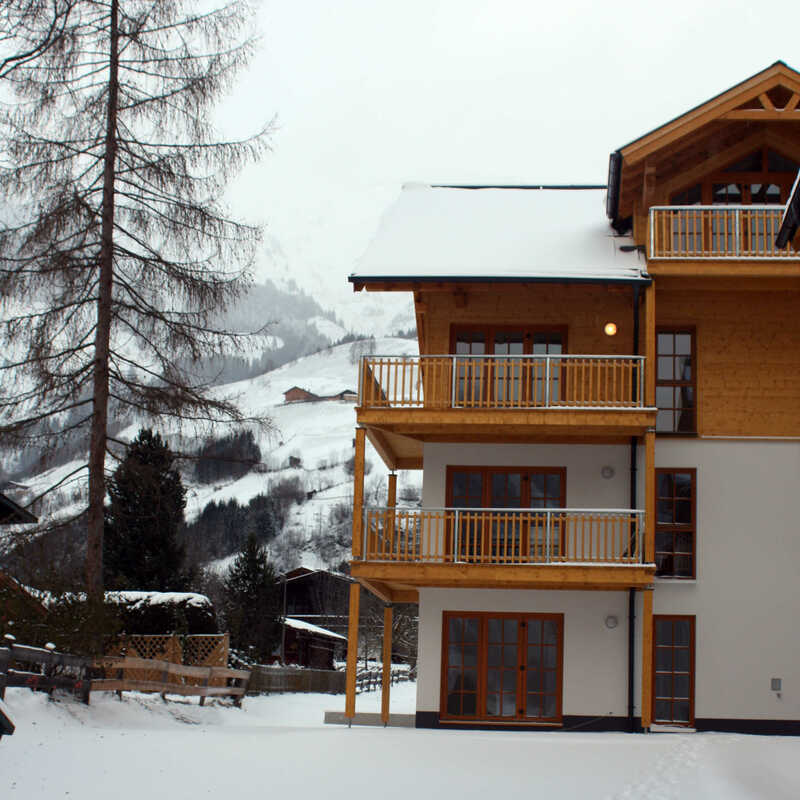 It is furnished to a very high standard, with solid oak heated flooring throughout. 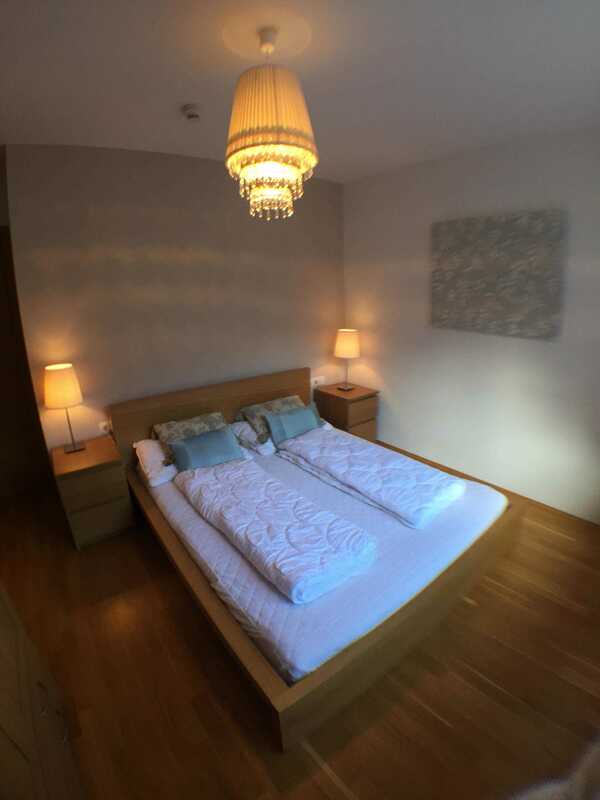 It comprises; 3 double bedrooms; Bedroom 1 has a king size bed and an en-suite shower room, with shower, sink and w.c; Bedroom 2 has a double bed and bedroom 3 has twin beds (also with foam chair bed for 3 children wishing to sleep together). There is a family bathroom with twin sinks, w.c., bath with shower over and a large heated towel rail. There is also a constant supply of hot water throughout the apartment. 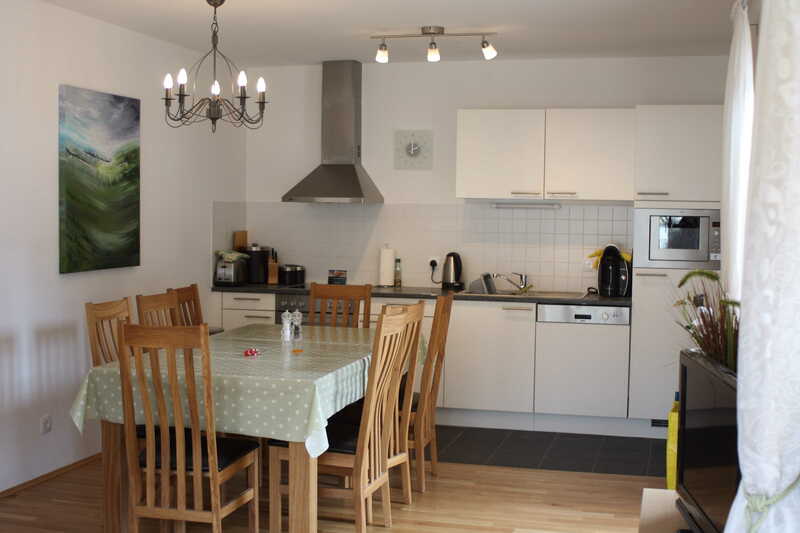 The large, open-plan dining-kitchen and living space has and 'extending' solid oak dining table and seats 8 people comfortably. 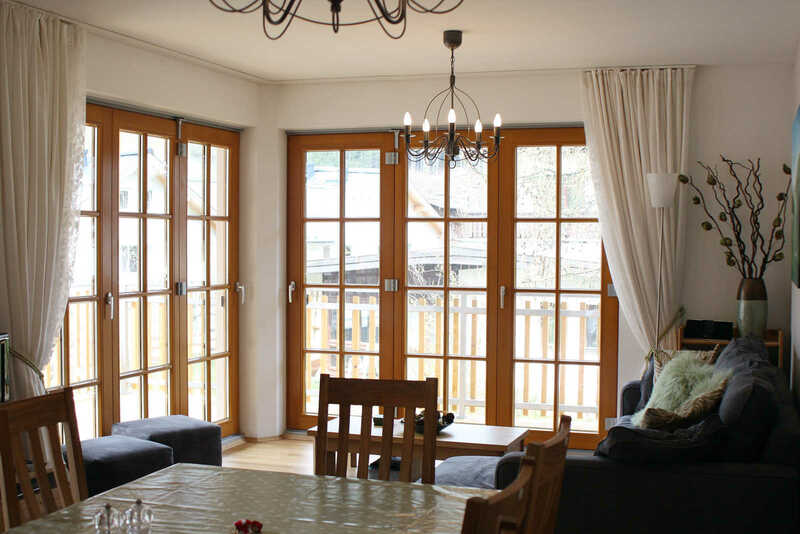 Two large bi-fold doors open onto a large sunny balcony with superb mountain views. 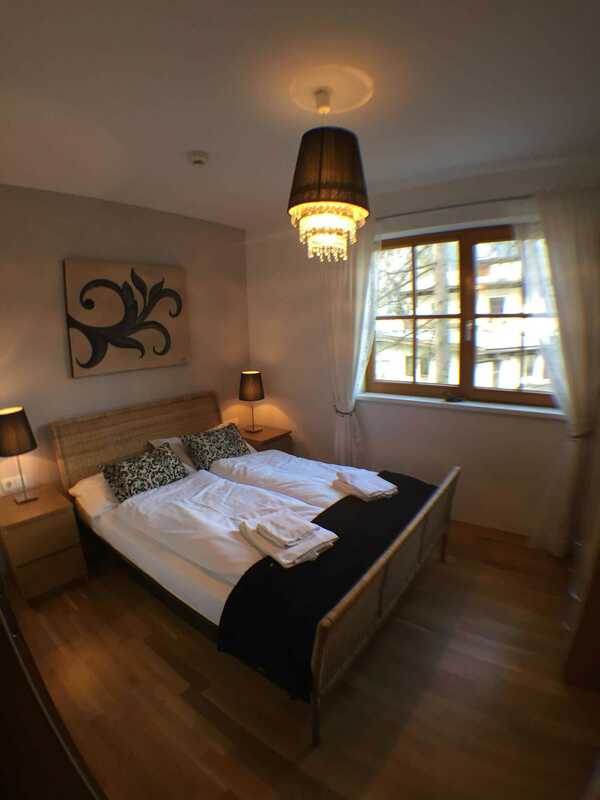 It also has a large double sofa bed and could be used as a fourth bedroom, if needed. Included in the apartment is: Fan assisted oven, ceramic hob, fridge/freezer, dishwasher, coffee machine, kettle, toaster and locally quarried granite worktop. Extensive selection of cutlery, china, glassware, saucepans, utensils and cookware. 32" wide-screen TV with cable UK and European channels, DVD player, selection of DVD's, childs travel cot, electronic safe, 2 x hairdryers, games, children's toybox, ipod dock, FREE Wi-Fi internet access, vacuum cleaner, child's booster seat, children's cutlery, plates and bowls. 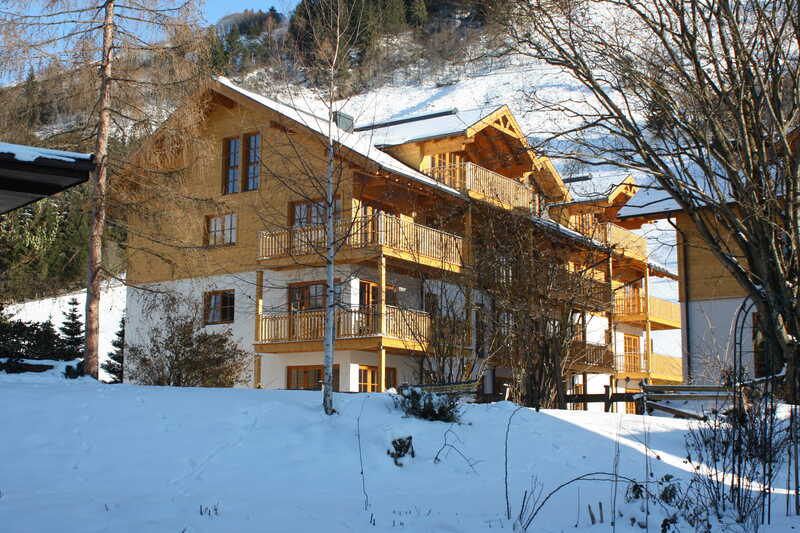 There is a lockable, heated, ski and boot room in the cellar and an underground parking space for one vehicle. All residents have access to the on-site Spa facility, gym and bar, which you can get to underground.